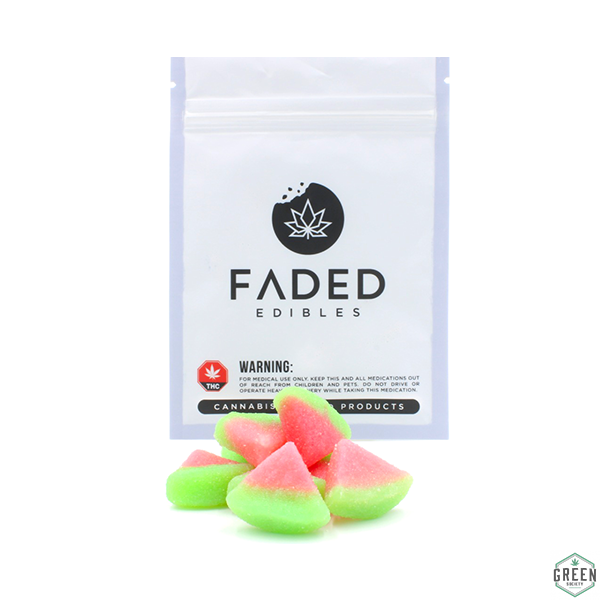 Faded Edibles by Faded Cannabis Co. debuts their take on classic, familiar candies with a new twist. Juicy, sweet Watermelon Sours are dusted in a tasty blanket of citric sour sugar to create a tasty blend of sweet and sour! As refreshing as a slice of watermelon on a hot, summer day. One package contains exactly 8 pieces of watermelon flavoured gummies. #StayFaded. 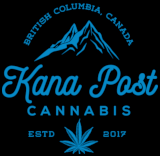 THC Content: 150mg THC/package or 18.75mg THC/candy Dosage: Each candy contains approximately 18.75mg of THC. For those who are not accustomed to edibles, only one or two edibles are recommended per serving. Allow roughly an hour for the effects to reach their peak before consuming more.